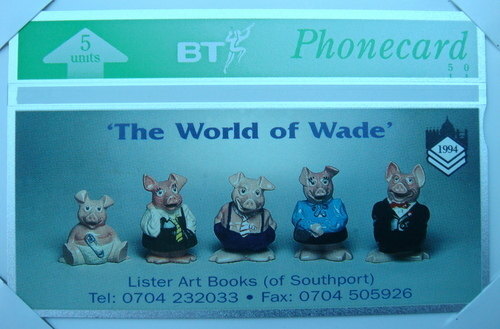 In 1994 Lister Art Books, Southport, commissioned a limited edition (500) BT Phonecard to coincide with the first Wade Fair in Birmingham. 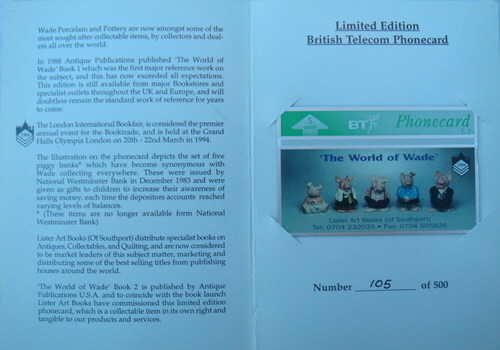 Naturally, the five NatWest pigs, Woody, Annabel, Maxwell, Lady Hilary and Sir Nathaniel, were pictured on the phonecard and the cards instantly became a collectable. 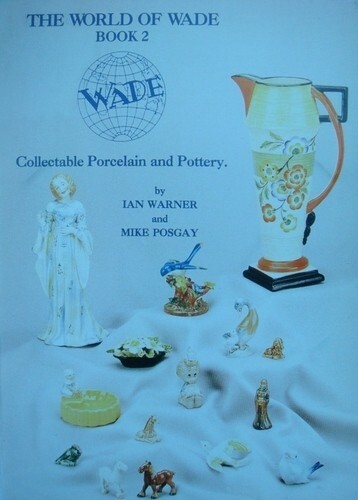 Presentation folder has a picture of the 'World of Wade' book, on the cover, which was distributed by Lister Art Books, Southport, and a paragraph inside on the history of NatWest pigs.